2014-2015Blog: Our Church with a Purpose! VBS '19: A Miraculous Mission! Welcome to the 2019 VACATION BIBLE SCHOOL page! 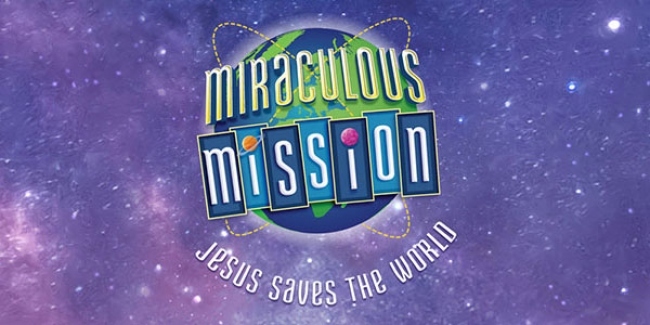 We are excited to present Miraculous Mission as our theme this year, and share how "Jesus Saves the World..."! Join us for worship, crafts, games, and nature activities! Registration is FREE, but donations are always welcome! Love kids? Need some volunteer hours for NHS or scholarships? We are always looking for help for our Vacation Bible School Programming! Crafts, Games, Bible Study, Snacks, and more! Contact Alexis if you are interested!